Located on the south end of Jaco Beach sits Hotel Catalina, one of Jaco's most tranquil beach front hotels. This titled beach front property totals 1500 square meters with pristine views of the Pacific Ocean and Jaco's prestigious South Beach. 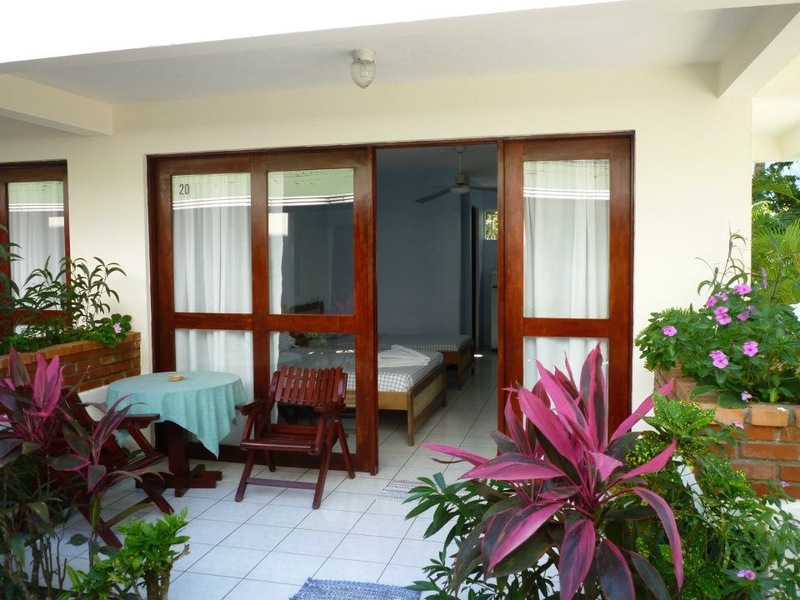 The hotel features 15 patio or balcony rooms, some of which have great ocean views as well as an owners apartment with 2 bedrooms directly facing the beach. Each unit offers guests a private bathroom with hot water as well as a kitchenette and a peaceful outdoor sitting area. The hotel also features a beach front pool, a large common area great for watching the sunset as well as a cafe bar & full kitchen, allowing guest's to enjoy breakfast or a snack. This gated property also has tranquil gardens with lush greenery which offer guest's a place to practice yoga or simply enjoy Costa Rica's beautiful nature. Located on the property is a parking area as well as a laundry room and bodega used for hotel linens. As this hotel has been a longstanding business in Jaco with a great reputation, many clients frequently return year after year due to it's perfect location and tranquil atmosphere. This is an great option for those interested in owning an existing hotel business in the busy tourist town of Jaco, as they say at HotelCatalina "Life is better on the beach" !